Since the first at-home whitening system was released to Americans in 1989, the U.S. has sought and bought whitening products with vigor, making teeth whitening one of the most popular cosmetic dental procedures in the country. In fact, Americans spent $1.4 billion in 2006 on at-home, over-the-counter teeth whitening products such as whitening strips, tray, gels, rinses and toothpastes [source: Mapes]. Why are white teeth so important to us? Most people would agree that a good smile tips the scales favorably for us socially. We believe in the power of a white smile to not only make us look younger, but to also make us more attractive to potential mates and more successful in our careers. That's a lot of responsibility for teeth. As we age, our teeth naturally begin to become stained or darken. What we eat and drink affects the color of our tooth enamel, often giving teeth a yellow tint. But it's not just our morning coffee or evening glass of cabernet sauvignon that are to blame. Certain antibiotics, illnesses and our genes also play a role in how white our pearly whites are. 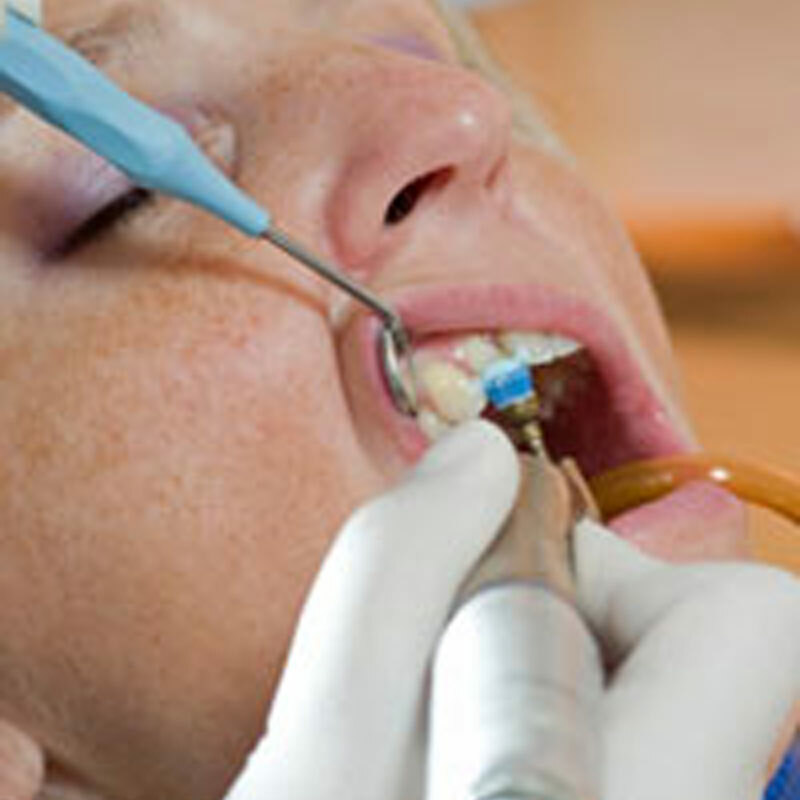 There are a few types of whitening systems available to fix the problem. At-home, over-the-counter bleaching kit options include strips or trays, or there are also special whitening toothpastes and mouthwashes that promise to polish stains away. Dentists offer additional in-office tooth whitening options, including custom-made take-home trays and in-office laser treatments. No matter which you choose, you're likely to see some whitening results. If a product contains bleach (peroxide), it will whiten your teeth. But not all treatments are created equal. It's the concentration or percent of hydrogen peroxide a teeth-whitening system contains and the amount of time it's in contact with your teeth that determines its effectiveness. While at-home kits are safe for adults as long as you follow directions, treatments under the supervision of your dentist are often more powerful than available at-home kits, and offer more safety measures such as oral and gum protection than over-the-counter kits. Your dentist or dental hygienist can offer the best advice for whitening your smile. Despite how safe it seems, is tooth whitening safe for everyone? Let's look at the side effects and drawbacks of the process, as well as why there is a recommended age requirement. Despite the gleaming smile it gives you, there are a few negative side effects to the tooth whitening process, especially if you're a youth. The biggest complaint? Tooth sensitivity and irritation along the gum line, lasting anywhere from 1 to 2 weeks post-bleaching. More than half of people who whiten their teeth complain of mild tooth sensitivity. Ten percent experience moderate sensitivity, and about four percent report severe sensitivity [source: Jorgensen]. Individuals with gum recession or gingivitis are most susceptible to sensitive teeth and gums during and after the bleaching process. While more than 30 percent of kids and teens wish they had whiter teeth, dentists recommend that anyone younger than 16 years old wait to bleach until at least later adolescence [source: Lee]. That's because kids and teens have more than a sensitivity side effect to worry about. Other than the complications that could happen at any age such as overuse or misalignment of the bleaching strips or trays, the most common problem kids and teens may run into when whitening is their dental maturity. It takes a long time to achieve full dental maturity. Young teens may not have a fully developed, fully mature, set of permanent teeth, and this can throw a wrench in the teeth whitening process in a number of ways. First, let's talk aesthetics. Teens who have mixed teeth (a combination of some primary and some permanent teeth) may find that the color of their pearly whites becomes uneven as more permanent teeth grow into place. It can be difficult to color correct the varying shades of white between those new adult teeth and the ones previously whitened. Another reason to wait for a full set of permanent teeth: immature enamel. On average that last baby tooth doesn't fall out until about the age of 12, and even once all our permanent teeth have grown in, it takes two more years for the enamel to mature, a process called enamel calcification. During this stage of development, not only is the enamel immature, which makes the tooth more permeable, but the pulp (the nerve) of the tooth is enlarged. Permeability decreases as we age, which means bleaching products may work faster on kids and teens that it does on adults. And bleaching before our permanent teeth are fully mature could expose the pulp to more peroxide than intended and irritate the tooth pulp or cause nerve sensitivity. The verdict? Shelve the bleach until at least age 16. Tooth bleaching under a dentist's supervision may be okay if a child or young teen's teeth have been affected by conditions such as discoloration from too much fluoride, post-traumatic injury discoloration or post-orthodontic tooth discoloration (such as after braces are removed). Talk with your family dentist in detail about the procedure and any possible risks or side effects to determine if tooth whitening is right for your child.